Nominations have now opened for the 2018 CME WIRA Awards – in keeping with the maxim ‘You can’t be what you don’t see’ WIMWA are keen to promote these awards as they are a great way to showcase and promote the excellent careers available for women in the industry as well as the high-calibre of women working in the industry along with the important organisational initiatives and champions helping to improve gender diversity and inclusion within the industry. We encourage you to nominate a colleague or industry peer for an award. 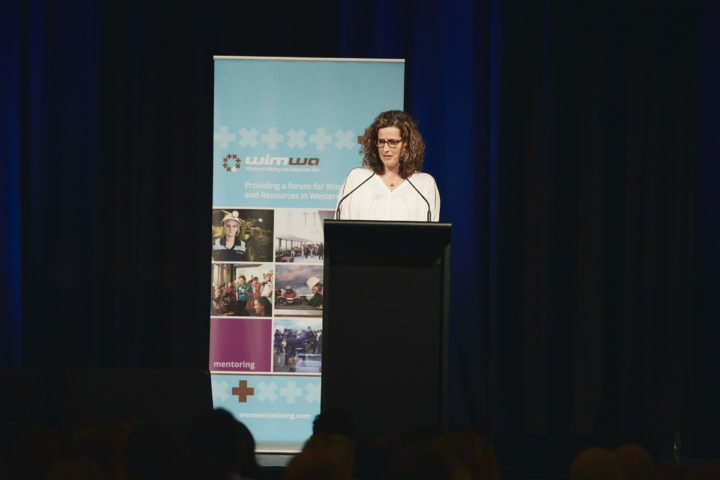 At this year’s WIMWA Summit several speakers were WIRA award recipients or nominees including Yvonne Fahey who, in 2016, was awarded the CME Women in Resources Award in the ‘Outstanding Operator/Technician/Trade Woman in Resources’ category. At the time Yvonne was Mobile Maintenance Field Planner at Alcoa’s Huntly bauxite mine near Pinjarra. From the site office in Marvel Loch, to operating large mining equipment and supervising others at Boddington Gold Mine, to Shot-firing in the blazing sun at Jundee, to mobile maintenance planning at Huntly mine, Yvonne Fahey has never been one to turn away from trying new roles. One of the few non-engineering females to successfully sit her Restricted Quarry Managers exam back in 1998 to currently being part of the emerging mining technologies team at Alcoa, Yvonne’s diverse career path has seen many changes over the last 23 years. “My work as a site clerk opened my eyes to a new world; I was captivated by the varied roles offered in the mining industry and within a year I was on the frontline driving some of the large mobile equipment used in the industry,” said Yvonne. In reflecting on her 20 plus-year resource industry career, Yvonne feels the biggest challenges presented themselves while working in non-traditional roles. Currently, Yvonne co-leads the Alcoa Womens Network Mining division promoting the recruitment, development, representation and retention of women in the mining workplace. She is an active WIMWA Mentor and also leads a successful Talent Development Programme at Huntly Mine, aimed at engaging frontline employees and assisting them with career development.